New membership meetings will begin in April in an effort to dodge snow storms. They will continue each month until Senior Memberships are full. They are held prior to the start of the monthly Club Meeting. An email will be sent to the email address submitted on the waiting list application to invite 30 applicants about 30 days before the meeting they will be invited to attend with the member that is sponsoring them. Applicant must respond to the email invitation by the date listed in the email to confirm attendance to the meeting they are invited to attend. Follow all instructions in this email. Our High Power Rifle team once again traveled to the National Matches at Camp Perry, Ohio in mid-July. 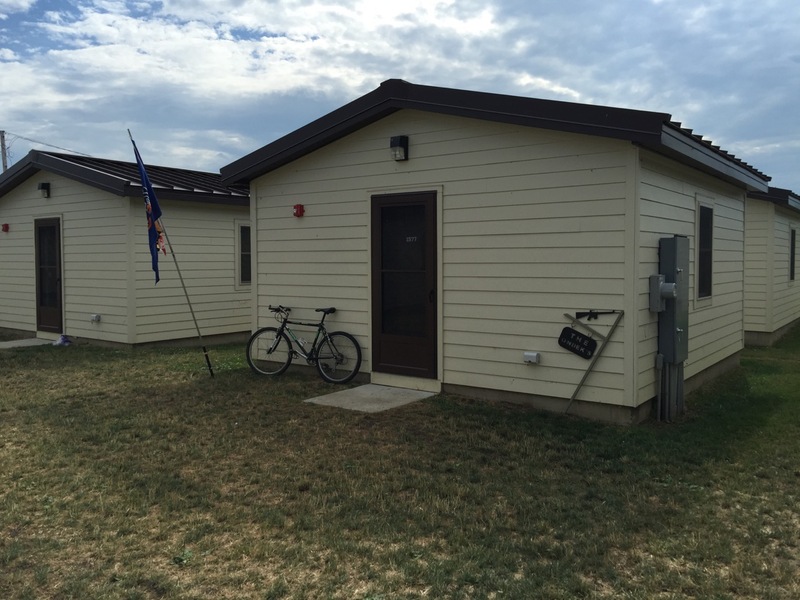 Like last year, almost all members stayed on base in the newly constructed huts. This year our base housing was a lot closer to the vendors on Commercial Row and I am thinking that we all spent more money than we should have. We had a very rainy start to CMP week and rain delays prevented us shooting squadded practice. The rain also caused the CMP to scratch the offhand portion of the M16 Excellence in Competition (EIC) match. That certainly hurt competitors who had already fired a strong standing score. The 2016 calendar was a return to the “old” calendar of events, so competitors fired the President’s Hundred match on Monday (10 rounds slow-fire standing, 1 string of 300yd rapid-prone, and 10 shots at 600 yards). On Tuesday we shot the National Trophy Individual or the NTI. The NTI is the big “Leg Match” worth 10 points toward one’s Distinguished Rifleman’s Badge. The course of fire is the same as a 50 round National Match course (without sighters). On Wednesday we fired the Hearst Doubles match (30 rounds each ) and then on Thursday the team really came together under John Ondek’s wind-reading and coaching skills in the six-person NTT Match (50 rounds each). The next few days were taken up with CMP “Games” matches (Garand, Springfield, Vintage, etc.) We wrapped up our 2016 National Matches experience by shooting the NRA M1A match on Sunday, July 31. Match results can be viewed by clicking here. Below is a short music video montage of the York Riflemen High Power team at Camp Perry in 2016, put together by Jeremy Bogdany. Pre-Membership meetings have concluded for 2015. !!!!!! Please Do Not just show up !!!!!!!!! You or the person that you are sponsoring will be contacted by the Membership Secretary to attend a pre-membership meeting.